Sempra LNG & Midstream, through its affiliate Port Arthur LNG, plans to develop a new natural gas liquefaction and export terminal in Port Arthur, Texas, US. The LNG export terminal will have a capacity of two billion cubic feet of liquefied gas per day (bcf/d). The project received the notice of schedule from the Federal Energy Regulatory Commission (FERC) in September 2018. The construction of the LNG terminal is expected to begin by 2019 with commissioning scheduled for 2023. The proposed facility will include natural gas liquefaction trains, LNG storage tanks, marine facilities for LNG ship berthing and loading, natural gas liquids and refrigerant storage, feed-gas treatment facilities, and truck loading and unloading areas. The project received approval from the US Department of Energy (DOE) to export domestically produced gas to the Free Trade Agreement (FTA) partner countries of the US, in August 2015. In February 2016, Sempra LNG & Midstream and Woodside Petroleum signed a project development agreement for the proposed Port Arthur LNG facility. Woodside Energy and Sempra Energy signed a memorandum of understanding (MoU) with Korean Gas (KOGAS) in June 2017 for the development of the LNG terminal. Sempra is expected to reach the final investment decision (FID) after receiving the FERC order in 2019. Port Arthur LNG signed a 20-year sales and purchase agreement with Poland-based oil and gas company PGNiG in June 2018. The project site is located approximately 86.9 miles (140km) east of Houston and will utilise approximately 2,842 acres of Sempra’s land area, including a 4.8km-long waterfront area along the Sabine-Neches Ship Channel and 1.25m (2km) of waterfront on the Intracoastal Waterway. The project will also occupy a three-mile (4.8km) portion of Highway 87 between Keith Lake Pass and Intracoastal Waterway. The proposed liquefaction and export facility will contain feed gas pre-treatment facilities, two 4.5 million tonnes per annum (Mtpa) capacity natural gas liquefaction trains, two 160,000m³ LNG storage tanks, condensate product storage, and combustion turbine generators for captive electricity generation. The natural gas liquefaction trains will have a total export capacity of 9.07Mtpa or 517 billion cubic feet a year (bcf/y). Sempra LNG & Midstream subsidiary Port Arthur pipeline is planning to construct, own and operate new natural gas pipelines, which will connect the Port Arthur LNG facility to multiple interstate and intrastate pipelines. The pipeline interconnections will connect the Port Arthur LNG facility to major natural gas supply basins. The facility will also include the relocation and upgrade of a portion between Intracoastal Waterway and Keith Lake Pass along Highway 87, in order to accommodate the construction of the marine terminal berth for berthing and loading of LNG vessels. The project also includes the construction of one compressor station at Allen Parish, Louisiana, and receipt metering stations. The project includes the construction of two 42in-diameter gas pipelines to connect the Port Arthur LNG terminal with various existing interstate and intrastate pipelines. A 27.6-mile northern portion of the pipeline will extend from Vidor in Orange County, Texas to the project site, while the southern seven-mile portion will extend from Cameron Parish, Louisiana to the site. The project also includes the relocation of three miles of waterfront that comes under the project site and lies along State Highway 87, between Intracoastal Waterway and Keith Lake Pass, for the construction of the marine terminal berth for berthing and loading of LNG vessels. 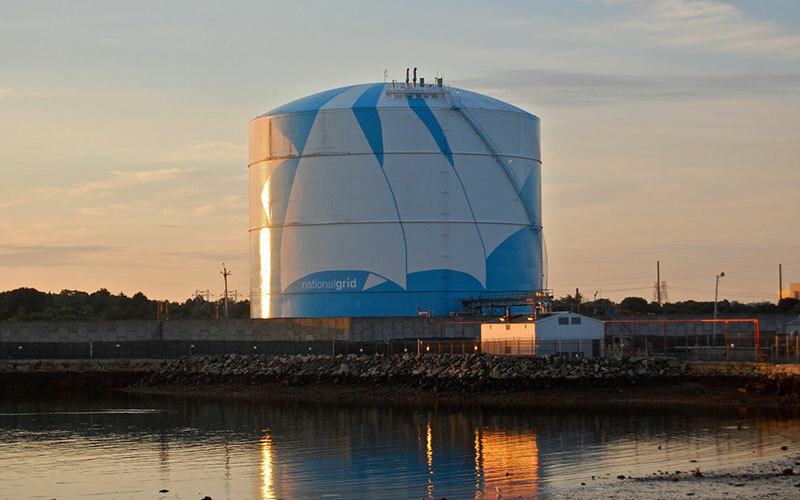 The proposed project is expected to create approximately 3,000 construction jobs, along with 100 full-time jobs during the operation and maintenance of the LNG terminal. The new facility will improve the access to competitively priced natural gas to meet increased needs for natural gas. It will also support manufacturing, small business and local community and generate new revenue to the US economy. The project development is expected to improve the nearby degraded wetlands, whereas the relocation of Highway 87 will reduce the risks of erosion and flooding while delivering a safer evacuation route for Sabine Pass residents. US-based Bechtel was awarded the engineering, procurement, construction (EPC) and commissioning contract for the LNG terminal by Sempra LNG & Midstream in June 2018. Korea Gas is providing the framework for engineering, construction and operations for the terminal. KOGAS will also own an equity stake in the project. US-based Woodside Energy is responsible to undertake the project work related to technical design, operation and maintenance, feed gas sourcing and the offtake of LNG.